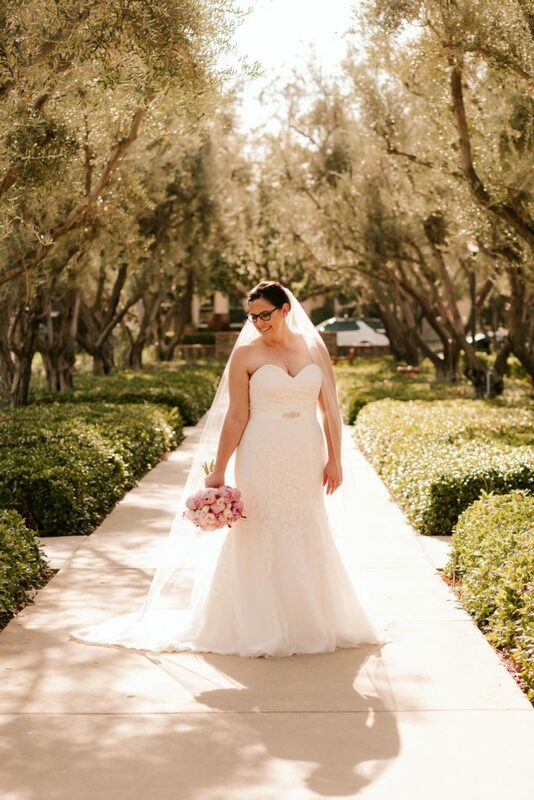 We’re super excited to feature our lovely Strut bride, Jessica! Jessica shopped our Long Beach store in December of 2017! She came looking for a timeless a-line wedding dress with lace details. She also told us that she had never been wedding dress shopping. We had her try on a little bit of everything before she realized that maybe she wanted to wear a fitted wedding dress. Doesn’t Jessica look lovely in her classic lace mermaid wedding dress?! Jessica’s strapless lace wedding gown features a romantic sweetheart neckline. It also features optional straps that Jessica decided not to wear. Can you blame her? She looks fabulous. 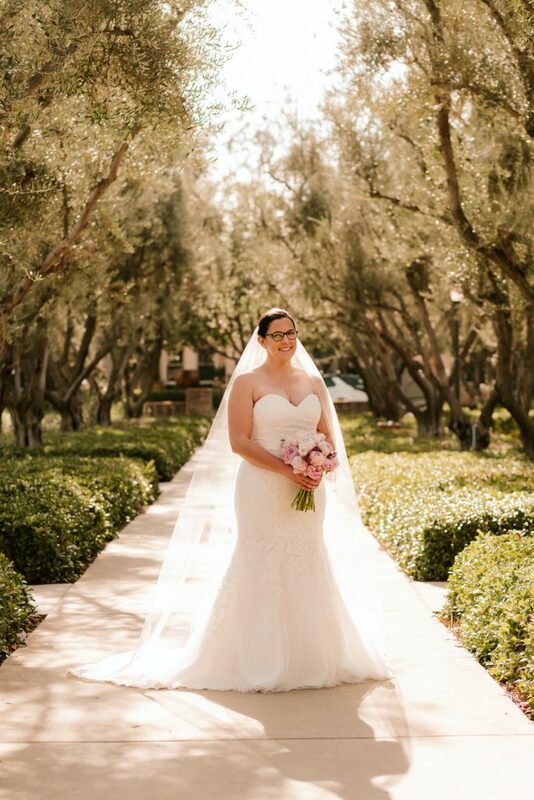 We love the addition of the cathedral length veil. It takes her look to a whole new level. Jessica’s classic lace mermaid wedding dress also features delicate cascading lace all over the bodice. It trickles all the way down to the court length train where it disappears into a soft English net. Her waist is accentuated with a satin belt with a blingy detail. Jessica wore hers in ivory, but it is also available in all white for the more traditional bride. We can’t get over how great Jessica looked. Plus she’s the first to be featured in this wedding dress! Kudos to her photographer, Amanda Doskocil of DOSKOFOTO. 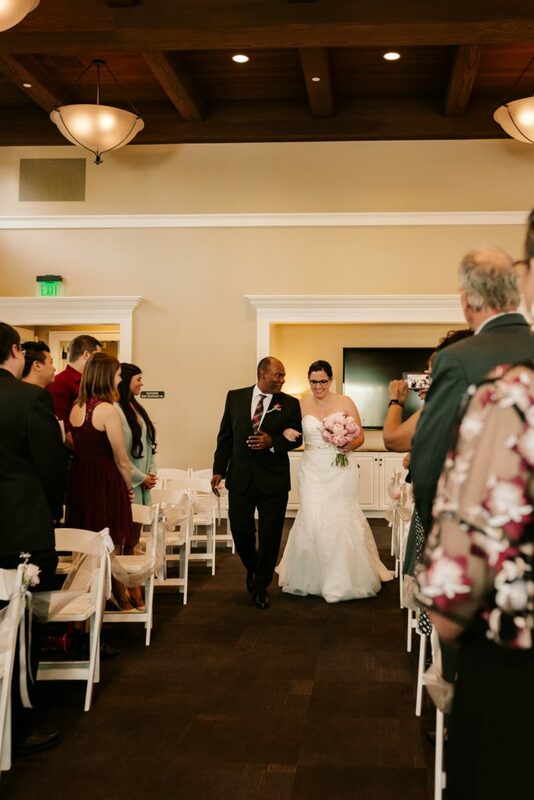 Jessica and her handsome beau tied the knot in November of 2018! We’d like to congratulate the happy couple and wish them all the happiness. We would also like to thank Jessica for letting us be such a big part of her special day. 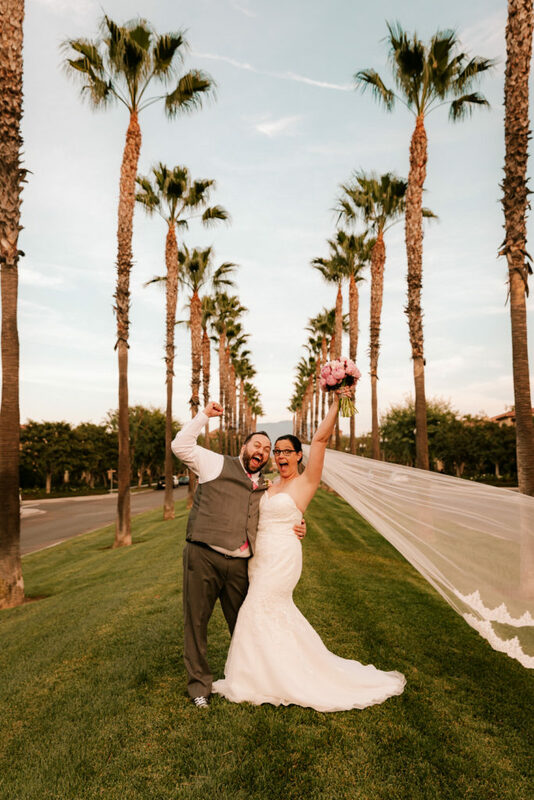 If you’re in love with Jessica’s wedding dress as much as we are, it is still available to try on in both Tempe, AZ and Long Beach, CA. 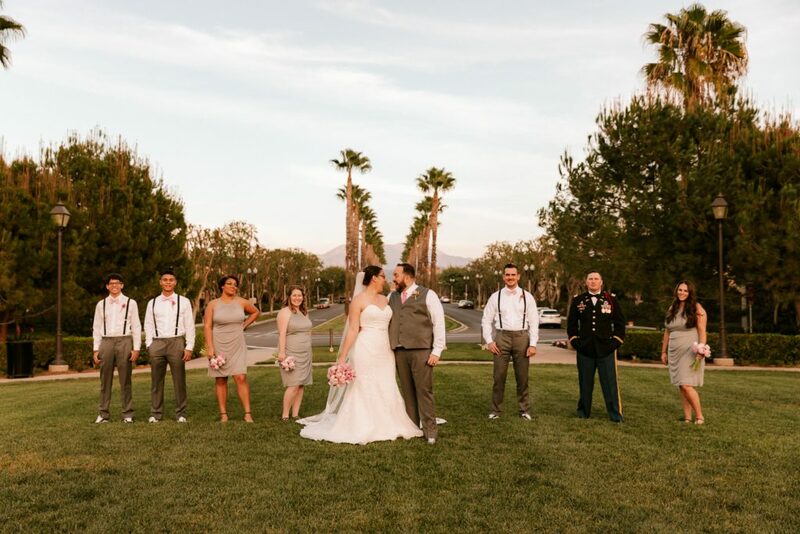 While you’re there, ask about our Value Collection, which is a selection of plus size wedding dresses all priced under $1000. It’s like having a wedding dress sale every day! Head over to our appointments page and book your visit today!